Kawasaki have announced that their all-new in-line four 990cc Moto GP project will not only compete in the All-Japan Road-Racing Championship but also aim to secure wildcard entry into latter rounds of the 2002 Moto GP 500cc/990cc world championship, with Akira Yanagawa, the former World Superbike rider at the helm. 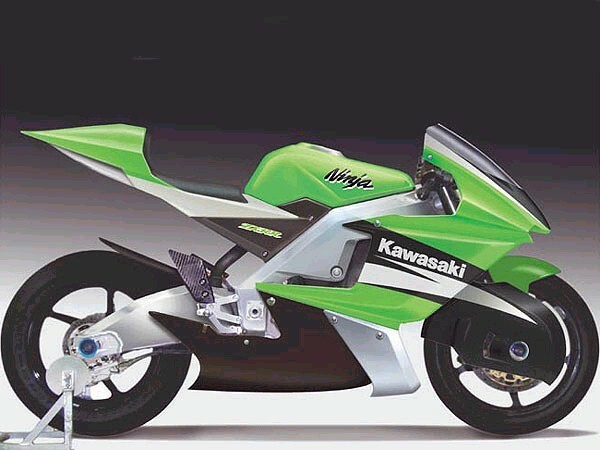 After an absence of 20years from the premier road-racing class Kawasakis new four-stroke prototype was originally slated for a 2003 season debut. But following the announcement by fellow Japanese marque Suzuki that the new XREO-project had been brought forward by 12 months the green machines opted to do likewise. A statement from Kawasaki read: In 2002 we are looking forward to another exciting year of racing. In line with our plans to contest the MotoGP class in 2003, 2002 will be a year of preparation and testing for us as we devote maximum effort towards developing our new in-line four GP machine. Japan, Australia and Malaysia are the most likely venues for the return of the famous lime green leathers to the Moto GP grid and Yanagawa is no stranger to either circuit or machine having toured many GP tracks in the last five years with the WSBK circuit and on the Kawasaki ZX-7RR in 2001.